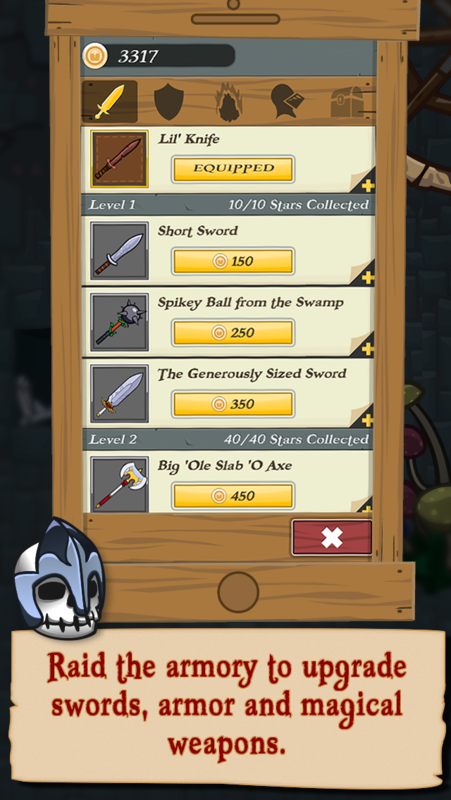 A knight gambles away his entire fortune and goes on an epic quest with his squire to amass a treasure. 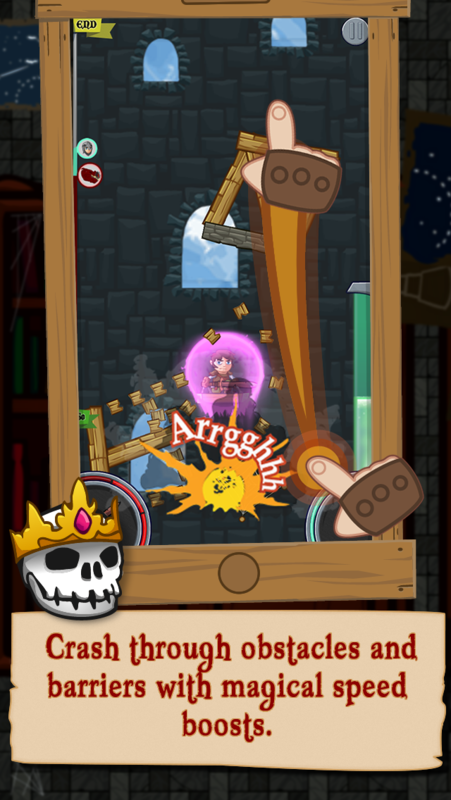 Upon discovering and climbing a mysterious castle tower, the cowardly knight pushes the squire down the turret, plunging the squire to the bottom where he lands on a pile of treasure and mystic runes. 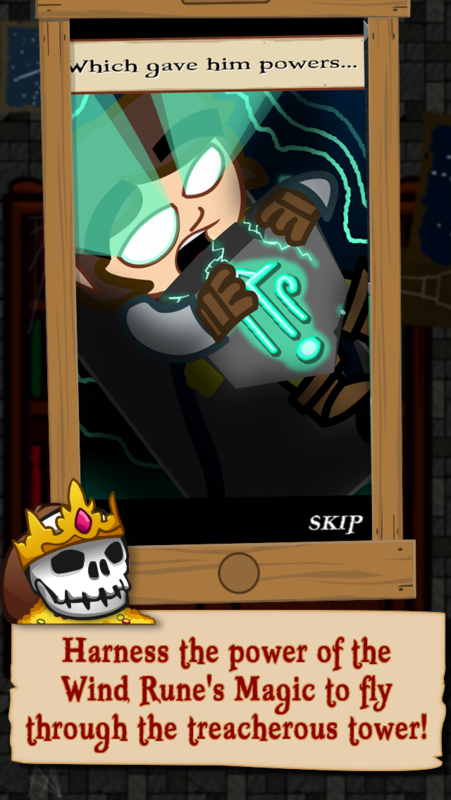 The magic runes infuse the squire with the ability to control the wind, helping the squire escape the dragon which he has awoken. 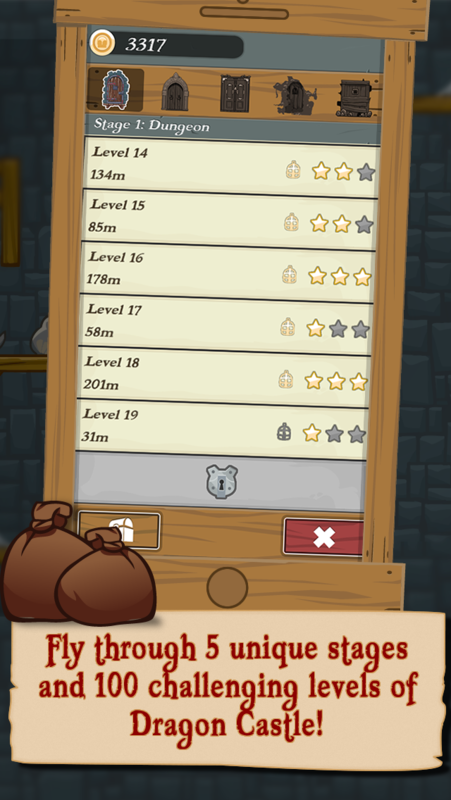 Help the Squire outrun the dragon on his journey to the top of the tower. Guide him using the power of wind as he travels upward, on his magic-infused shield. Fly through 5 unique stages and 100 challenging levels of Dragon Castle! 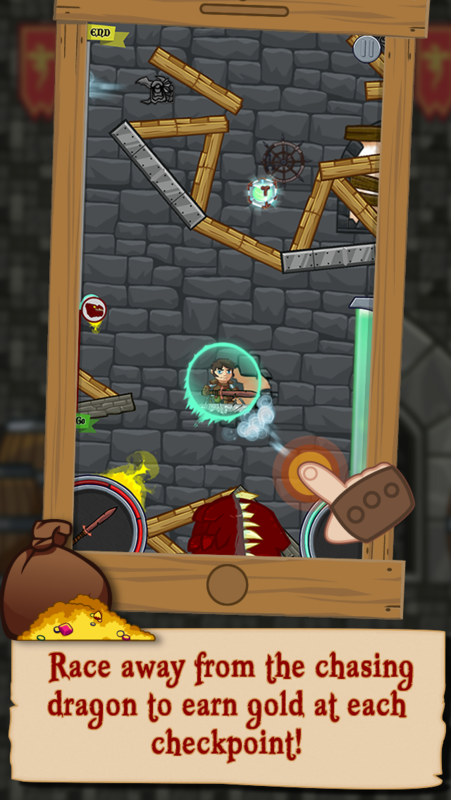 Escape from dragon castle and re-craft your destiny!